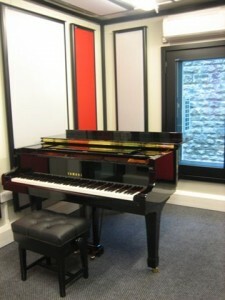 In 2010 we were asked if we could help refurbish the Music Faculty at Oxford University. After many meetings and discussions with consultants involved at Oxford University, we produced a plan utilising the maximum amount of space that was available in the existing Faculty building providing a total of 9 acoustic modular studios of various sizes. Timing was of paramount importance, working together directly with Project Managers – TMD, Hoare Lee and Longcross Construction – to provide exactly what was required by the Professors and Students of the University in the area available. Eight of the rooms were installed first in the agreed time frame of 2 weeks. The ninth room was installed within 3 days once the other part of the building had been constructed in October 2010. Oxford Music Faculty now has a state of the art Music Rehearsal facility being enjoyed by both students and Professors of Music from all over the world. Many thanks to Oxford University for featuring in our Case Study.